Interworld Electronics announces a new range of ATEX certified 19-inch stainless steel displays designed specifically for explosive environments. Interworld Electronics announces the release of the new ARMPAC-612 Series rugged industrial all-in-one HMI Android computers. Interworld Electronics introduces a new sunlight readable wide temperature range monitor for industrial environments. Fanless Embedded PCs often require a customised display to meet an applications specification. Displays may need to be panel or rack mounted in standard and non-standard enclosures. Varying degrees of environmental protection may be required or a display capable of being read under intense light conditions may be called for. 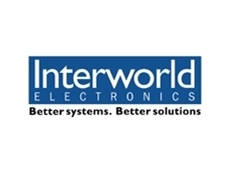 Interworld Electronics carries a range of rack and panel mount industrial and sunlight readable LCD monitors that are ideal for use with its Boxer series embedded control PCs and many other industrial applications. 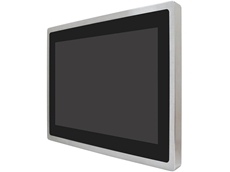 The APD-7000 series panel mount industrial LCD monitors are constructed in stainless steel chassis and can be supplied as an open frame (without a Bezel) or with aluminium alloy IP65 rated bezels for standard rack or panel mounting. Touch screen options are also available making the APD-7000 series ideal for KIOSK manufactures. 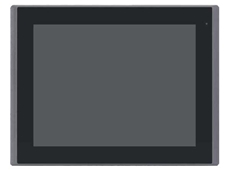 The APD-7000 series screen sizes range from the APD-7101 with a 10.4" 800x600 pixel LCD to the APD-7211 21.3" UXVGA 1600x1200 pixel display. 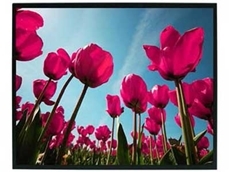 The AP-LDLD series sunlight readable panel mount industrial LCD monitors are ideal for portable or mobile applications where the monitor may be exposed to direct sunlight. They exhibit wide viewing angles of typically 140°/120°, fast response times, high contrast ratios up to 400:1 and an high brightness with a luminance up to1600nits. Five models are available with10.4" 800x600, 12.1" and 15" 1024x768, 17" 1280x1024 and 20" 800x600 TFT screens. The AP-LDLD series are supplied in an industrial panel mount housing that provides mechanical and environmental protection. These monitors can operate in temperatures from 0~50°C, Humidity of 90% and withstand shocks of 50G for 20ms and Vibrations up to 1.5G at 10Hz~200Hz. The sunlight readable monitors can also be supplied without a housing or bezel for OEM and system integrators who require an LCD panel that can be built in during the design stage.